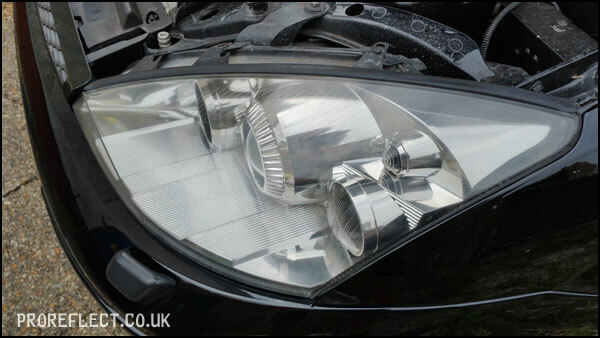 The plastic headlights on this Ford Focus ST170 were by far the worst I have ever seen. 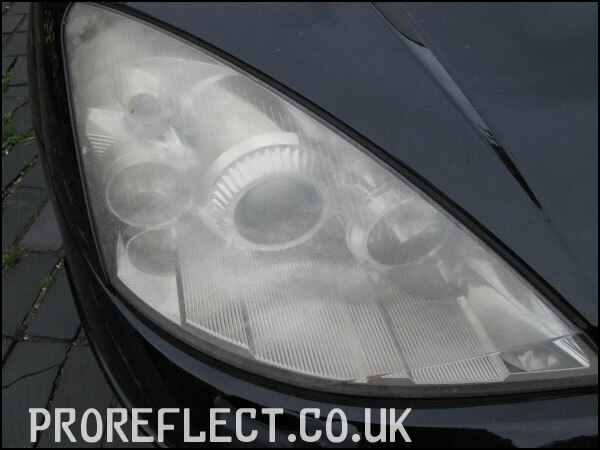 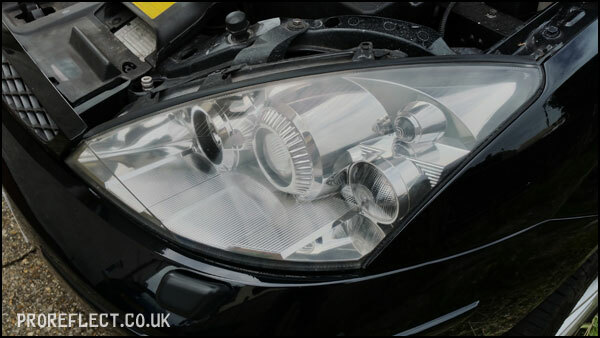 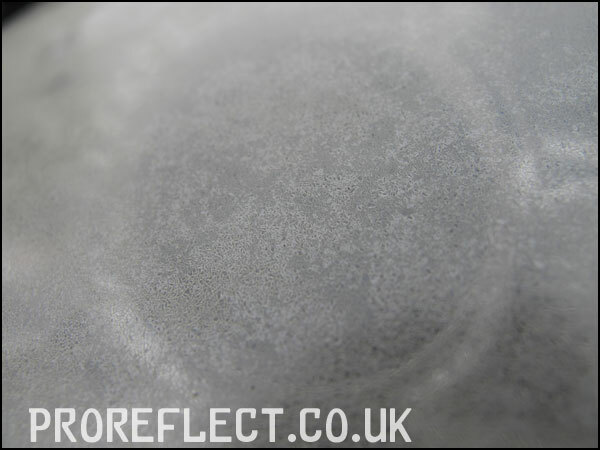 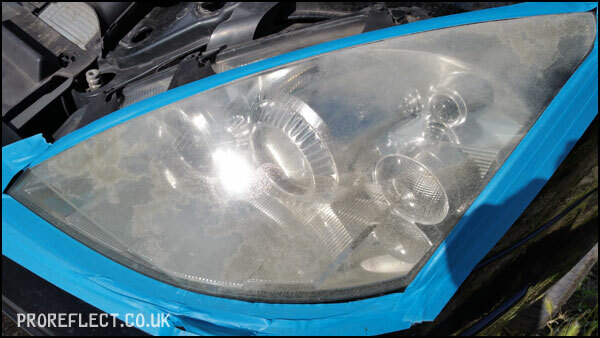 The plastic had deteriorated so much that it had started to craze and add that to the usual fading and discolouration; night time driving must have been nigh on impossible but replacement Xenon’s are hard to come by and are costly. 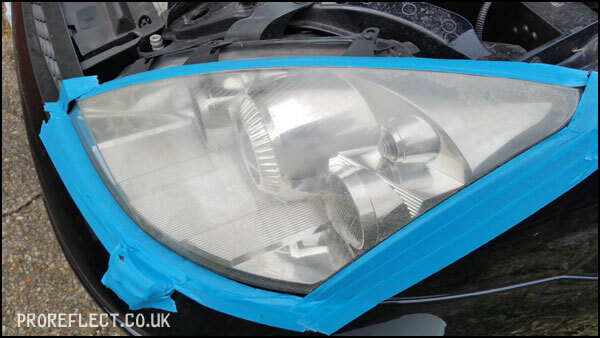 Sanded by hand starting with 1200 grit paper and working out to 3000 grit before refining the finish by machine. 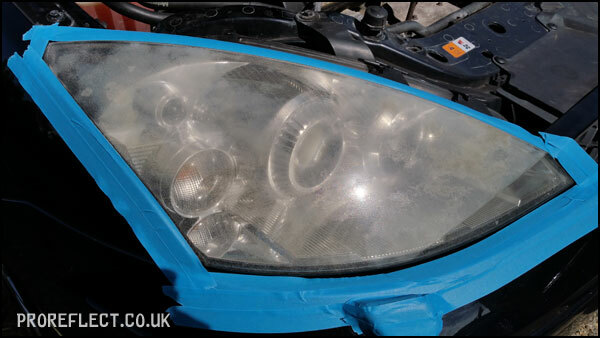 The restoration was completed by resealing the headlights with SiRamik SC15 to protect them from future harmful UV rays. 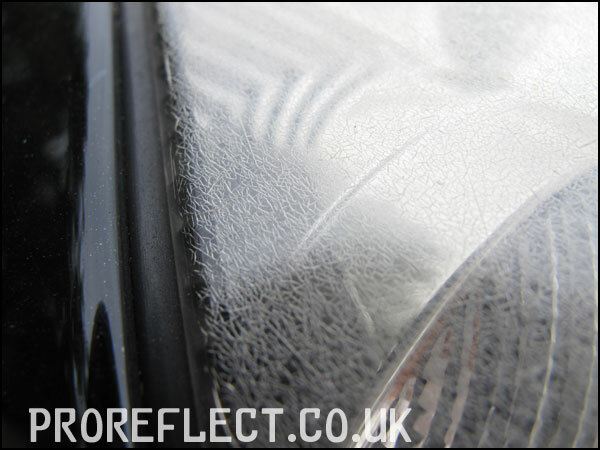 You can see the degradation and how the sun has damaged the plastic over time. 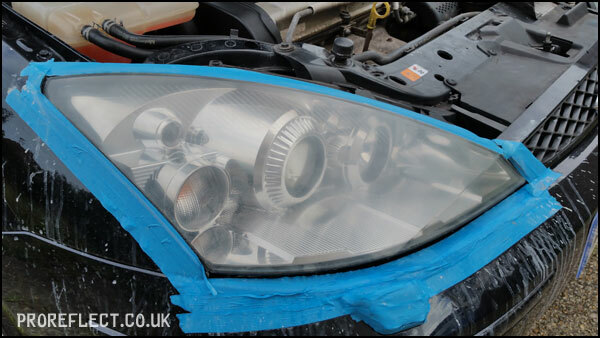 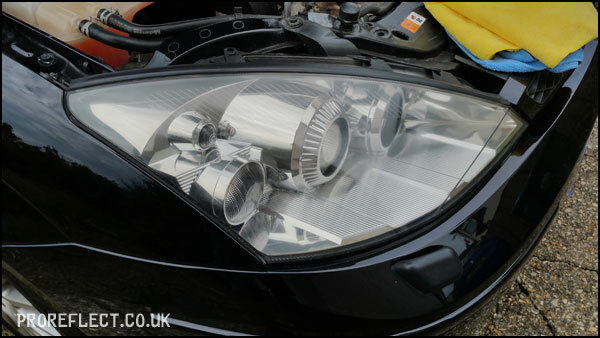 These headlights were very bad and if nothing had be done, they would have eventually cracked and would need to be replaced. 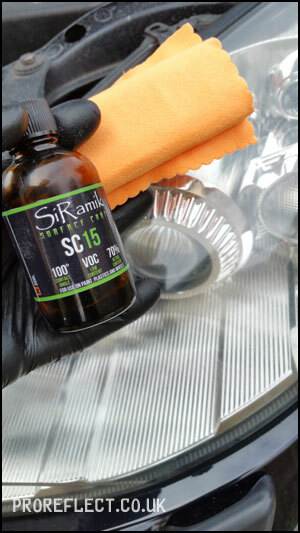 SiRamik SC15 protecting them from future harmful UV rays.